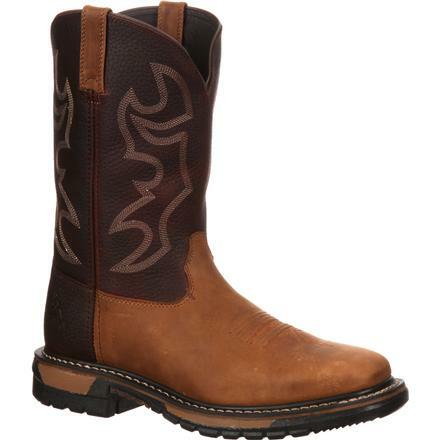 You can have great-looking steel toe western work boots that are comfortable. 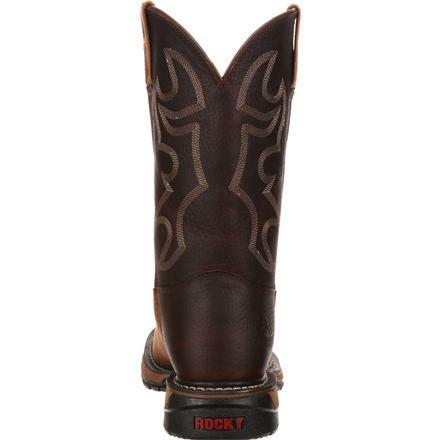 The Rocky® Original Ride Western Boot is all about sole performance and interior comfort! 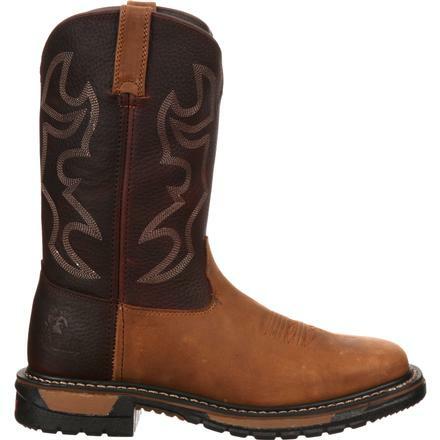 The Rocky Original Ride Steel Toe Western Work Boot is constructed for masculine style, safety, comfort, and strength. 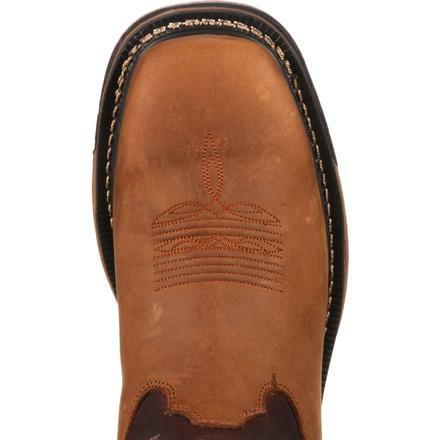 This 11 inch boot, with traditional stitching and full-grain leather, adds professionalism to your appearance. Because of its Original Ride heel and a wide square toe, this work boot offers you all the confidence of a well-seasoned worker. 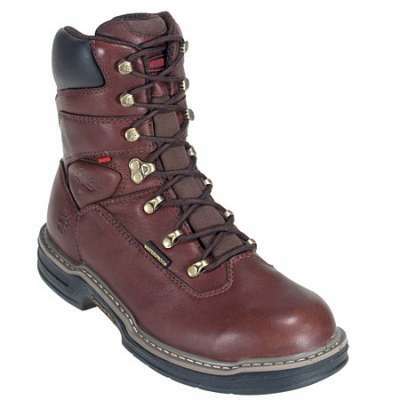 Rocky® designed this steel toe work boot with a dedication to serious safety. 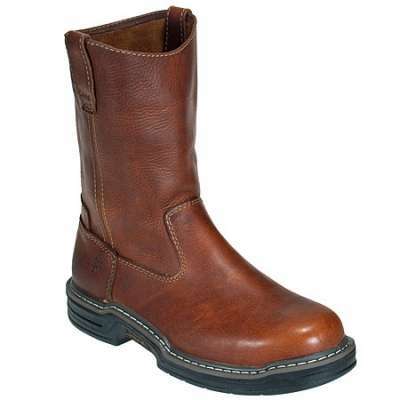 The boot meets both the ASTM F2413 protective toe classification and the ASTM F2413 electrical hazard standard. 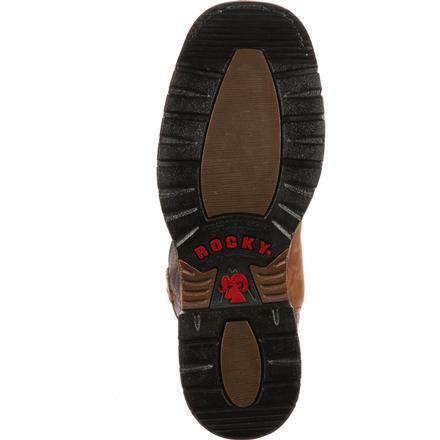 The 8-Layer Rocky Ride Comfort System is a collection of elements that offers your feet luxury relief. 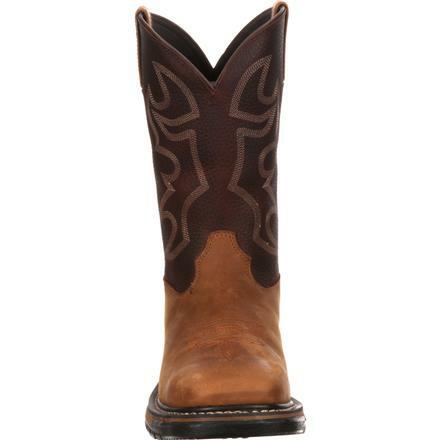 Comfort from the moment you slip on your cowboy boot, until well after your day has ended. 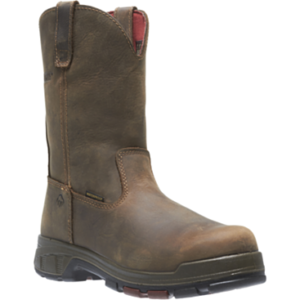 The system includes an oil-resistant dual-density rubber outsole in order to offer superior steadiness and flexibility. A removable dual-density footbed with heel stabilizer contributes hard-to-find comfort. Additional comfort comes from the soft leather lining. 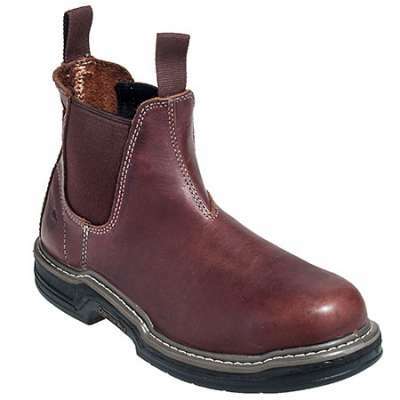 A tempered steel shank provides stability and arch support. Rocky built a steel toe boot you won’t want to take off. Double-row leather welt stitching enhances the sturdy structure with unquestionable durability so you can enjoy your new favorite western boot for a long time.